Thanks Ben, those are good examples. What I don't quite understand is why we have to tinker and experiment with luminance values of a half billion or more in a renderer that uses real-world calculations. That's what we had to do in 3Delight. We have charts that list real-world exposure and color temperatures, so I would assume it should be fairly easy to make light and render presets that are physically accurate. There should be no need to fake anything or even guess at how bright a light should be in Iray. SnowSultan, people are going about this the wrong way. Its not about ramping up the lights. This is like the switch to actually using gamma correction. One needs to expose the image correctly via the Tone Mapping controls and to not throw away everything we've all learned about lighting a scene... it all still applies, just a little differently. My system is about 3 years old with an Nvidia Fermi GPU (1 GB dedicated GDDR5 VRAM), I7 930 2.8 Ghz,and 12 GB of DDR3 in tri channel mode so it is far from the "rendering monsters" many have today. Everything in it is now "legacy tech". Given the high level of quality, 2 - 3 hours is pretty bleedin' good compared with upwards of 1 - 2 days (or more) like I hear about with Lux. Well now. Glad to hear you bit the bullet, and jumped into trying. your systems is actually "better" than mine! Dirtbag. 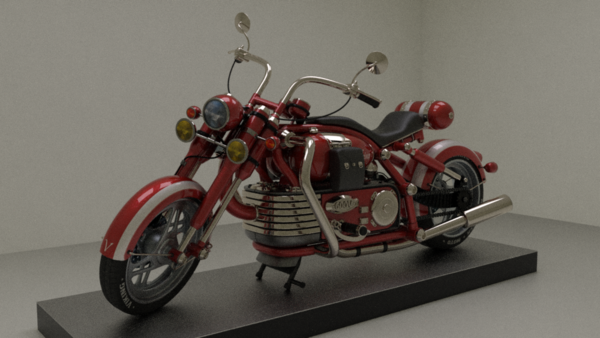 but yeah, I'm having fun with this Iray, and even just CPU, is faster for me than some other rendering options. In first picture luminance is 5000, in second picture luminance is 10000, in third picture luminance is 50000. Rendered in Scene Only Environment mode. The rest of render settings ware default, as in, I didnt tinker with exposures etc. Way to go Ben!!! That is exactly the type of info us beginner people need. I'm pretty sure I was born into the real world, (and have been living in it for most of my life - sans the occasional mental forays into other ones,) but I had NO idea how many numbers there were in reality. works for you, should work for me right? This isn't Iray specific but is about the beta. How do I turn off the flashing for the select tool? I had it off in 4.6 but can't find where. I've checked edit/preferences and the tool tab but nothing. Window > Panes > Draw Settings, Editor tab, set "Draw Style" to "Bounding Box Only". Thanks for starting this thread Jaki. This should be STICKIED DAZ! So what are the minimum specs required for Iray GPU? I tried the Material Ball scene a few times on GPU only, just load and hit render, and about 12%-13% into the render (110-120 iterations), my Video Card driver crashes and the render kicks into CPU mode. Would it benefit me to use both CPU and GPU when rendering? Or should I consider getting a better Graphics card for straight GPU rendering? Well while y'all are busy learning. I'm taking notes so when this all goes "general release" I will HOPEFULLY have enough info to have some OK results. I'm hoping DAZ gets those deals with NVIDIA sorted out and made available to us before the big release! Be nice to have a new card to go with my shiny new DS 4.8! I'm not positive about that yet. Sickleyield showed in a video how to light a scene without adjusting the Tone Mapping settings, but others would rather light a scene with lights of lower strength and use the exposure to fix it. Is either correct? That may be decided when we start seeing light sets or other environmental presets in the store. I would imagine that someone trying to sell light sets would assume the user leaves the Tone Mapping controls at their default, otherwise their lights would give vastly unpredictable results. A combination is probably best, like learning to set your Exposure to 6 or 7 for indoor scenes and then using indoor light presets that are designed with that in mind, but I'm concerned that we're going to get a mix that will just confuse people. Does anybody have a good setup/setting for a 1m primitive area light? PS to Edit Luminance 7000 to 700 my bad. I am making it a little brighter going with 800 but it does depend on how high up or close the lights are to the subject/s. Weird things were happening that prevented me from even getting close. I had to photo spots and then created an area light. But no matter what I did, it would not really work. We will call that progress! I'm wondering if object area has an effect on lighting level? In the image below, I set Luminance to 40,000 (from the default 5,000), and although it could definitely be lighter, it's not pitch black. 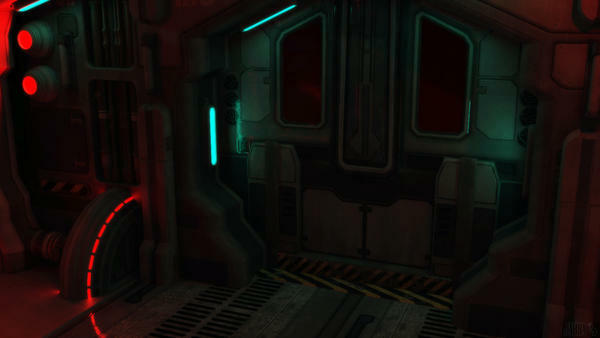 But there are 6 fairly large lighting panels as a single material and I applied Emissive to them. All other settings are at default.. So maybe instead of trying a candle or ball, you need to use something pretty big. This is just a guess on my part, but in the real world, 6 large panels will give more light than a candle. This is a definite, mac. Something I've learned the hard way with unbiased rendering... IF you want to light an entire scene, your light source is going to have to be physically plausible. A candle in a completely dark room is just not going to light the whole thing. And you need to adjust the tone mapping. Unbiased rendering requires a lot more knowledge of photography than does a biased engine like 3Delight. I'm betting you did not change any of the tone mapping settings in that render. If you changed just the Film ISO you'd see the difference. For indoors, I'd start with at least an ISO of 400 and tweak the other camera settings from there. There is going to be a somewhat steep learning curve here; one really needs to learn the renderer from scratch. Right. I figured out the object area size/proportion to light yesterday by trying different render with a PM light on Point, Disc, Sphere, etc and at different dimensions. I posted the renders somewhere, but I can't remember offhand where. Of cousre I saw your post about that AFTER I posted. Those renders were nice. Have to say, Ive pulled your Italia sets into Luxrender many times and they have helped me learn this stuff. You are correct, we are going to see a lot of confLicting information ( I have seen SY's video yet, i need to); but like the issue of gamma correction, there is a correct way to do things. The tone mapping controls are there as part of the render settings for a reason, just like they are present in Luxrender. And of course there is simple logic: why would one have to create physically implausible lights in a physicaly based rendering system? One should not have to, therefore the answer must lie elsewhere. Art is always a mix of science, talent and passion (remember the old masters who used to mix their own paints), this just happens to have a little more science. If you want realism based on textbook lumen settings, adjust the tone mapping after setting lightsources as per their real-life lumen values e.g. try using a disposable camera to take a shot (without flash) in a room lit by a couple of candles - all you will see are the flames - but if using a good camera, you can adjust shutter speed, exposure, and load a faster film to adjust to the environment... but when rendering PBR, this may take a lot longer render time to get good results (you may have brightened the scene with camera settings but calculations are still based on low-powered lightspurces, which can take forever to clean up the noisy artifacts). If you want good results in a reasonable amount of time, boost the power of the lightsource(s) - brighter lights generally produce faster results when rendering, but if the lightsource is visible in render e.g. using emissive, then the higher the lumen setting the 'hotter' the surface will be (loss of detail, just a white blob even if texture was used etc). There are pros and cons to both approaches, so yes, combining is probably the long-term way to go, especially when at the stage of thinking artistically instead of purely technically as we're doing right now when learning (one advantage Luxrender has at the moment is its ability to let you adjust light on-the-fly while scene is rendering - it would be nice if that was a possibility with Iray in the future). Well... so far my attempts at emissive surfaces have all been a bust. If they're emitting any kind of light, it's impossible to see and even when they're in direct view of the camera, there's no ambient light to the surface itself. I suppose I could crank up the luminance to a few billion, but at that point 'physically accurate' rendering goes right out the window. I'm sure there's a trick to it that I'm missing, but I can't figure out what that could be. Any tips so we can finally lay this bag of snakes out straight? I need to go out for a few hours so won't go into too much detail, but here's an emissive test I did using Stonemason's Dark Star (I did a wee bit of post to soften the edges of the lightsources, which have a tendency to look a bit jagged when you crank up the lumens). The colour of your light also affects how much you need to crank it up e.g. in this image, the cyan lights were maybe 6K lumens but the red was more like 15K lumens (sorry, I don't have the precise settings saved, so I'm guesstimating in the ballpark they were, but the reds had to be cranked a lot higher than the cyan). Oh, and in my render settings I set my environment mode to scene only (and made sure the headlamp on the camera was off). I posted my settings for a monitor here. But it all depends on what you're doing. Have to say, Ive pulled your Italia sets into Luxrender many times and they have helped me learn this stuff. Heh. Glad they wre useful! There are different setting for the emissive lights. By default, it is set to 'I think' candelas per meter squared. (not sure what cd stands for?). DAZ Studio works in CMs. Slosh pointed out to me yesterday that you can change this to cd/cm^2 which switches it to CMs. So, meters squared to centimeters squared is a factor of 100. There is also Watts. My personal favorite. Anyway, using the default of meters squared, depending on the size of my emitting mesh, I'm seeing where setting luminance into the 100,000s, millions or billions is not uncommon to get enough light out of it. Throw the 0's at it! :) It seems like some of the monies in the world are like this, too. I find the issues start when you have lights other than merely emissive ones in the scene. It's like the other lights cancel them out entirely. The surfaces just end up taking on a very basic glossy appearance with no hint of lighting. Iray will not work on my card 1GB nvidia card and any new card I get would be working PCIe 2.0 on my mobo , that's half bandwidth of PCIe3.0, also some cards require more power and that's a new PSU to buy as well foe some. Theres a consensus here who feel just replacing the card will see dramatic improvements but that's only true with systems that have newer hardware and adequate power to those cards t begin with, otherwise it's not as simple as just replacing the card in some, possibly many cases. I've blown way past 8GB RAM demand on some screen size renders that in LuxRender I would need to run at twice the resolution with DS running behind it. Is Iray very RAM intensive as a norm on even smaller scenes? Documentation, tutorials on lighting, texturing ,etc. There are different setting for the emissive lights. By default, it is set to 'I think' candelas per meter squared. (not sure what cd stands for?). DAZ Studio works in CMs. Slosh pointed out to me yesterday that you can change this to cd/cm^2 which switches it to CMs. So, meters squared to centimeters squared is a factor of 100. There is also Watts. My personal favorite. Anyway, using the default of meters squared, depending on the size of my emitting mesh, I'm seeing where setting luminance into the 100,000s, millions or billions is not uncommon to get enough light out of it. Throw the 0's at it! :) It seems like some of the monies in the world are like this, too. Actually 1 cd/cm^2 would be 10,000cd/m^2, I think - 1 m =100 cm, 1 m^2 = 100*100 cm^2Correct. Note that another option is Kcd/m^2. Lumens, and Watts for large objects don't really make sense. as the power is spread over the entire object. @SnowSultan and others in the 3 Pillars of Photography discussion! It's not that I disagree with changing those settings, it's that I knew jack about those specific things before this discussion! I've never been able to afford a DSLR and always used digital cameras that had "for dummies" settings for my texturing (or a scanner). I had to go look up the 3 Pillars yesterday just to understand what ISO was. In my last render I posted to the "show us Your Iray Renders" thread I did play with the aperture and ISO and improved the strength of my lights considerably (that scene was lit with two weak photometrics and a small amount of environment light). Definitely one cannot use the default render settings for both ISO AND photometric light strength, though. Leaving default ISO the photometrics require very high lumen values, or leaving default photometric strength values (1500 lm??) the ISO must be changed. Is there a way to reduce the Z-scale of the dome? when I reduce size to match scale to figure, the fisheyed lense effect is kind of strong. Click with right mouse button on the Render Setings tab and activate "Show hidden properties". You will than have dome widith, hight and depth sliders. Plus bunch of other hidden stuff. Ah, apparently those sliders are automaticaly visible in finite box mode and they dont work with shere modes.